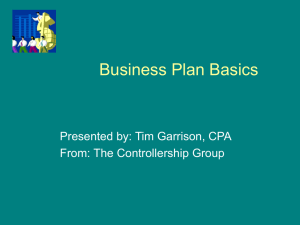 What is a CPA financial planner? Jim Metzler AICPA vice president for small firm interests. broader expertise that includes financial planning. What do younger CPAs want professionally? % of major firms growing their practices in these disciplines…. compensation $26,700 higher than non-credential holders. and hiring and promotion opportunities. • Willingness to help others. 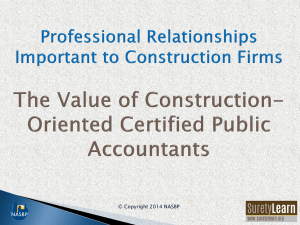 Why does being a CPA matter? 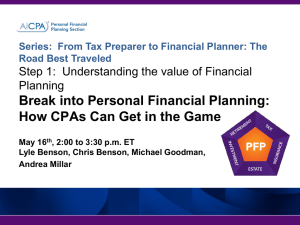 CPAs and non-CPA financial planners. 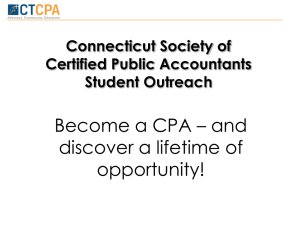 Why choose to be a CPA/PFS? 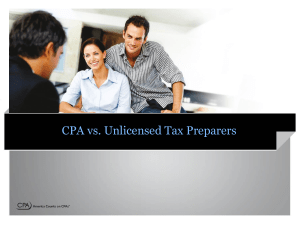 Who can benefit from being a CPA/PFS? 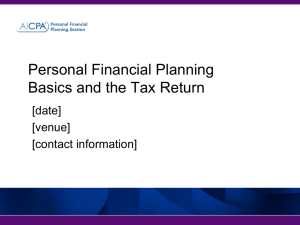 the overall financial planning issues faced by his or her clients. 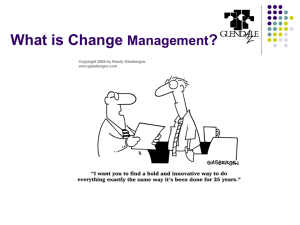 technology in PFP, investment advisory business models, etc. 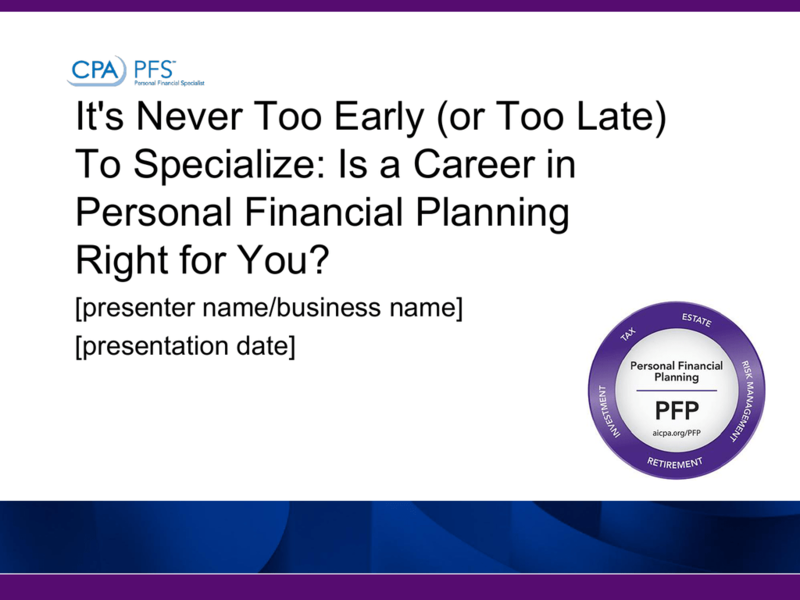 Visit aicpa.org/PFP/pathway to access this checklist and other free resources. Does the client have children? Understand any education planning opportunities. Discuss gifting opportunites with the client. Consider income shifting to take advantage of the children's low tax rate. Have gift tax returns been filed? Do the number and ages of dependents indicate that income continuation needs are likely to be high? Does the client have elderly parents whom they care for? Discuss estate planning with the client. Review the dependency rules to be sure the parents can be claimed. Discuss the future financial commitment of this care with the client. Consider filing status and dependency exemptions in divorce situations. 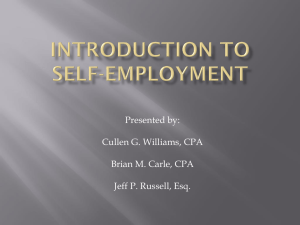 What is the source of the client's income? 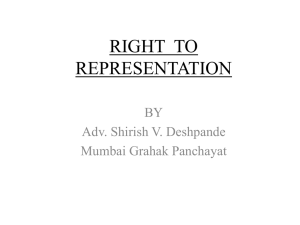 Understand their sources of income - wages, self-employment, partnership, etc. Are there any income deferral opportunities available given the client's investment income source? Discusss the benefits of saving through 401(k), 457, 403(b), SEP, or IRA's. Does the client have income from a retirement plan still held with former employers? 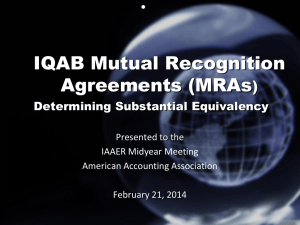 Discuss rollover of funds to an IRA or consolidating IRA's with the client. Does the client have social security income? Consider whether any of the social security income maximizing strategies might apply. Is the family income dependent on one wage earner? Are maximum 401(k) contributions being made? What are the sources of the client's interest income? If it's taxable, does it come from bonds, CD's, savings accounts, etc? If it's tax-exempt, understand the state tax impact. If the source is municipal bonds, consider the safety of the bond. Does investment income indicate a liquid fund has been established for emergency needs? What are the sources of the clients dividend income? Is it mostly from mutual funds or stocks?